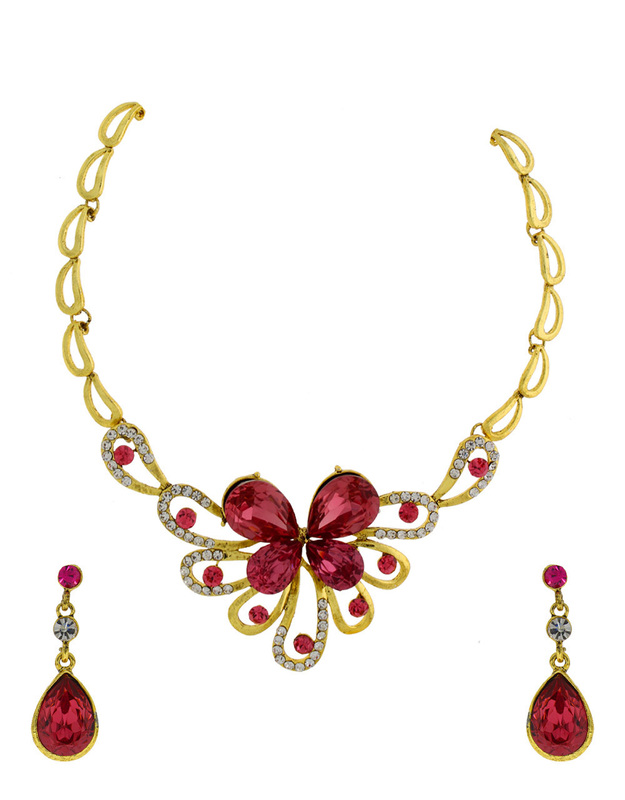 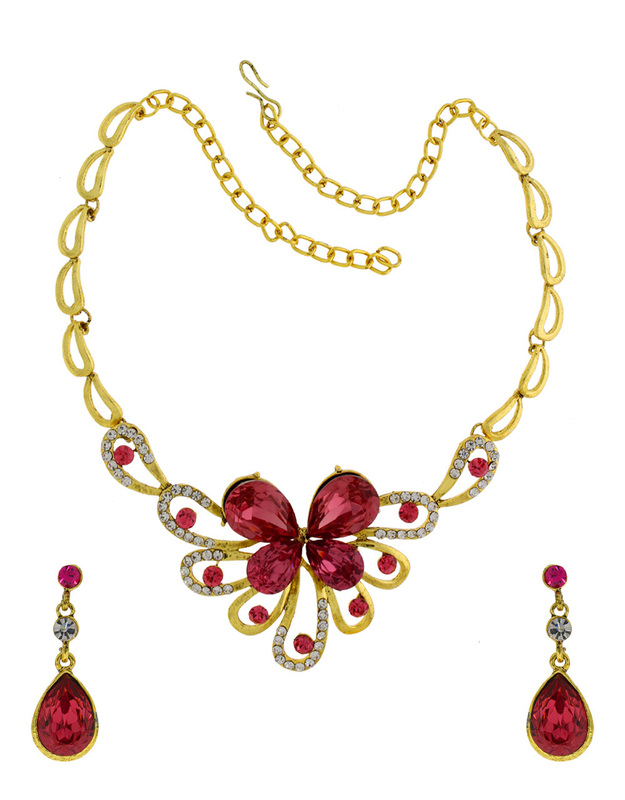 Pink colour butterfly inspired beautiful necklace set from Anuradha Art Jewellery is perfect option to team with party costumes. 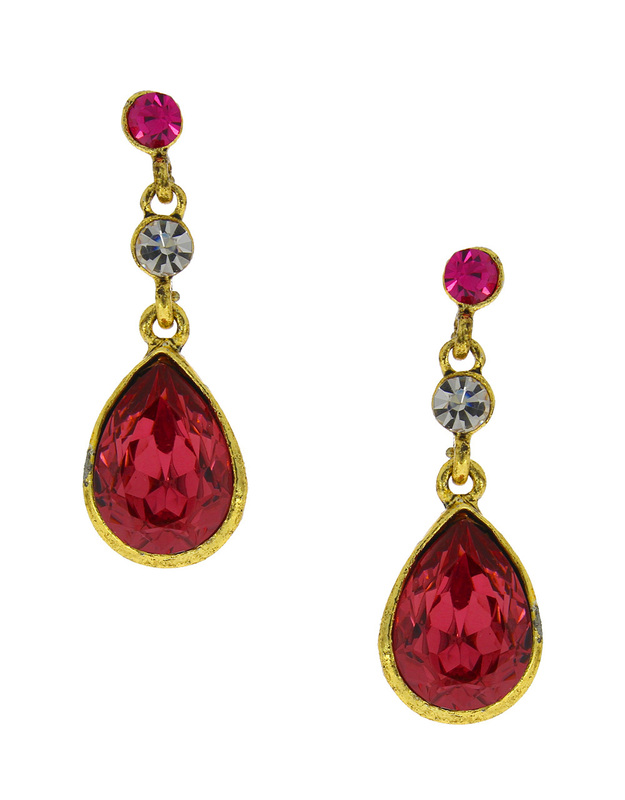 Studded with sparkling stones & fashioned from golden polished metal. 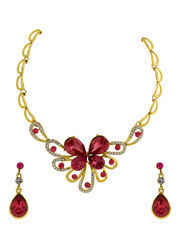 This adorable neck-piece is high in quality & will fetch you endless compliments from onlookers. 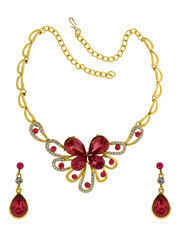 So get it now!